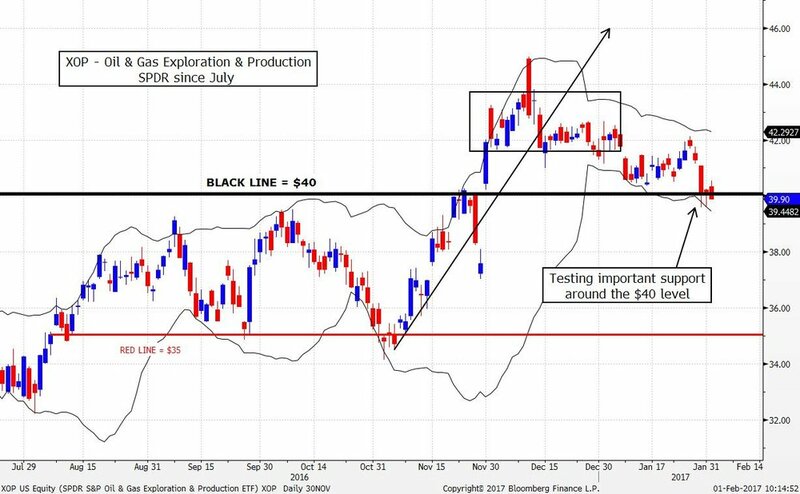 The XOPs are testing important support around the $40 level. The $40 level is support because it was resistance in August, October, and November of 2015 and again in October of 2016. If it breaks there may be a significant move lower.